The Reserve Bank of India (RBI) has recommended the Centre reduce its holdings in public sector banks. This, it says, is essential for robust corporate governance practices, considering these lenders’ deteriorating asset quality and rating downgrades. The recommendation is part of a detailed blueprint for sweeping reforms in public sector banks, prepared by the central bank. The recommendations are being discussed with the finance ministry and will be taken up with the next government on a priority basis. Stressing the importance of granting complete autonomy in the day-to-day operations of public sector banks so that these could effectively compete with their private sector peers, RBI said such autonomy was contingent upon the government reducing its stake, especially at a time when the Centre was resorting to borrowing for capital infusion in these banks. The banking regulator has identified two areas which it terms the cause of all problems facing public sector banks — government ownership, which creates a constraint in efficient operations of banks, and successive regulatory and supervisory forbearance to government banks, a factor behind their poor performance. Under the Banking Regulation Act, the government has to hold at least 51 per cent stake in public sector banks. However, in several cases, the stake is as much as 80 per cent. 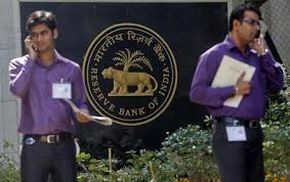 RBI has also suggested the government and the regulator don’t involve themselves in the process of appointing the senior management at these banks, and also withdraw from the boards of public sector banks. It feels the posts of chairmen and managing directors should be split, as a chairman and managing director has absolute power and often dominates the board. It also says the chief executive should have a fixed term of five years. The regulator has suggested a host of reforms for various issues — from accountability in loan sanctioning to human resource management and board accountability. It has said lateral movement of staff at public sector banks should start at an early stage — at the level of deputy general manager and general manager. This would ensure a candidate was made aware of the bank he or she might head in the future, it said, adding lateral movement should also be considered for State Bank of India (SBI). It said the SBI group was more vulnerable in that the bank’s senior management was selected internally, which inhibited new thinking. The RBI paper also raised the issue of auditors’ accountability, saying chartered accountant director should not be part of the management committee of the board that took decisions on loan sanctioning, as this led to conflict of interest. The existing committee method of sanctioning loans should be done away with, as this didn’t hold any single individual accountable, the central bank said. In case of frauds, banks’ boards and senior managements should be held accountable and a branch-level official should not be made scapegoat, it added.